Please note that the content of this book primarily consists of articles available from Wikipedia or other free sources online. 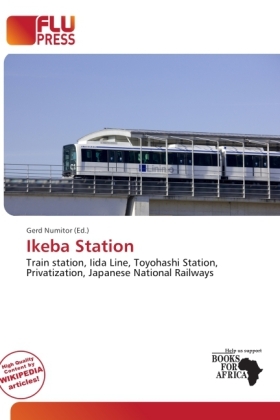 Ikeba Station is a train station on the Iida Line in Shinshiro, Aichi Prefecture, Japan. It is located 50.1 rail kilometers from the southern terminus of the Iida Line at Toyohashi Station. Ikeba Station was established on November 2, 1936 as the Ikeba Signal Stop, on the now defunct Sanshin Railway. On August 1, 1943, the Sanshin Railway was nationalized along with several other local lines to form the Iida Line. On December 1, 1946, it was elevated to a full station and renamed it its present name.